Non-GMO electrolyte powder mixes into 16oz of water for rapid hydration. 75% of americans suffer from chronic dehydration, that means you are probably dehydrated right now. Even breathing and walking cause the body to lose water & can lead to dehydration. 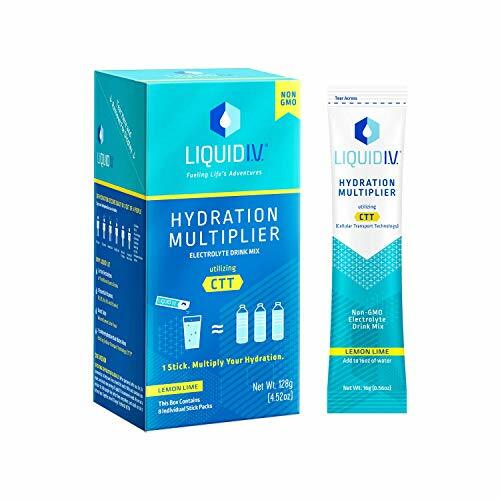 Utilizes breakthrough science of Cellular Transport Technology (CTT), a specific ratio of potassium, sodium, and glucose that delivers water and other key nutrients directly to your bloodstream, hydrating you faster and more efficiently than water alone. 1 packet can provide the same hydration as drinking 2-3 bottles of water. Maximize your hydration, replenish your body. Daily dangers of dehydration include headache, dizziness, confusion, muscle fatigue, muscle cramping, fainting and fuzzy thinking. Expedited water delivery system in the body that creates a wholesome feeling for you. Clean, simple, premium ingredients. Made in the United States. No artificial sweeteners, colors, flavor or preservatives. Free of gluten, dairy, and soy. 100% Vegan. Great-tasting. Final Price as low as $16.24 Shipped!